A total of 471 properties sold in the Victoria Real Estate Board region this December, 1.3 per cent more than the 465 properties sold in December last year. Inventory levels edged lower than last year, with 1,493 active listings for sale on the Victoria Real Estate Board Multiple Listing Service® at the end of December 2016, 40.7 per cent fewer than the 2,517 active listings at the end of December 2015. "As we expected, 2016 broke records in terms of the number of properties sold in our area," notes Mike Nugent, outgoing 2016 President of the Board. "10,622 properties sold, which exceeds our previous high of 9,241 sales in 1991." The Multiple Listing Service® Home Price Index benchmark value for a single family home in the Victoria Core in December 2015 was $613,600. The benchmark value for the same home in December 2016 has increased by 23.6 per cent to $758,500. "We expect sales to continue to be strong but we don't expect to see the phenomenal activity we saw in 2016 for 2017. Inventory continues to be low," adds President Nugent. "You can't sell something that isn't there. There is certainly an ongoing demand for properties. This is reflected in the fact that 25 per cent of sales this month sold over their asking price. The majority of these properties were in the up to $750,000 price point, so your average buyer will face a competitive market." About the Victoria Real Estate Board - Founded in 1921, the Victoria Real Estate Board is a key player in the development of standards and innovative programs to enhance the professionalism of REALTORS®. The Victoria Real Estate Board represents 1,327 local Realtors. 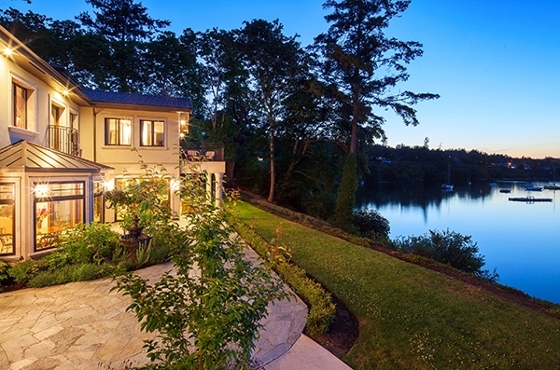 If you are thinking about buying or selling a home, connect with your local Realtor for detailed information on the Victoria and area housing market. Source: Victoria Real Estate Board Current MLS Listings.